Building on this cooperative success, the OFPC, along with the leadership of FASNY, the New York State Association of Fire Chiefs, the Association of Fire Districts of the State of New York, the County Fire Coordinators Association of the State of New York and the New York State Professional Firefighters Association, is attempting to take a bigger bite of the apple by meeting to discuss potential options and strategies in the delivery of fire protection services. Our end goal is to develop a laundry list of ideas, initiatives, suggested policy and procedural changes, and other steps that can be taken by New York’s fire service in improving the efficiency and effectiveness of the delivery of fire protection in this state. departments across the state in an effort to do a factual self-assessment of where we are, what services we are providing and their adequacy, what issues exist, and what obstacles we are confronted with. 2) Provide possible solutions and options to fire departments that will allow them to address the identified issues and provide a better service to their citizens. There is no one-size-fits-all solution as there isn’t one predominant issue or obstacle. We hope to take a wide swath with this initiative, discussing and providing options and solutions to a number of issues. 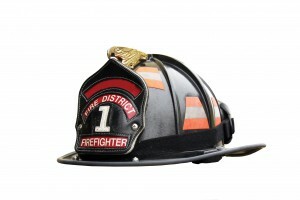 Examples include, but are not limited to: department goals; legal and procedural obstacles; staffing options; fire department organization and management; use of shared services; increasing or decreasing levels of service; consolidations and mergers; greater utilization of combination fire departments; and changes in response protocols, to name a few. Most of these discussion points are not new. So, rather than just rehash what has been said before, we hope to delve into the specific issue or topic and dissect it so we clearly know the good, the bad and the ugly of each option. As we begin this initiative, we all agree, to the best of our ability, to provide straight-up, factual information to New York’s fire service. Each organization involved recognizes that sound decisions require factual information, so the information we provide will not be biased or slanted in any one direction. Each organization involved is fully aware that no one individual or group has all of the answers and, by using our collective thoughts, we will be more successful. We also encourage individual fire departments to be a part of this effort and reach out to us if they have constructive ideas. We are especially interested in any success stories that may exist where change within the fire department has resulted in enhancing the delivery of fire protection. Feel free to reach out to any of the groups to share your successes if you feel this success can be duplicated elsewhere. Lastly, history has shown us that the fire service needs to lead these discussions and do the necessary self-evaluation and make the tough decisions to make sure that our service delivery is the best it can be and that it properly serves our communities. If we don’t take a good, hard look at ourselves and initiate needed changes, then others will and we may not be happy with the results. If we all engage in this initiative together, 2016 can certainly be a memorable year. I look forward to the ride.